Enjoy Somerset Patriots Baseball in this spacious Double Suite featuring great food and an unbelievable view behind home plate! Upscale Menu includes appetizers, salad bar, multiple entree items, side dishes, desserts, and non-alcoholic beverages. 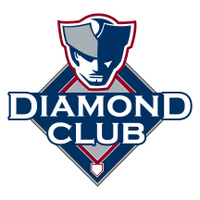 Click Here For Diamond Club Menu Ingredients! The Diamond Club is also available to rent on a non-game day to conduct business meetings. We can cater breakfast and/or lunch, and provide your company conference room seating, 60" TV to run presentations, and Wi-Fi availability.